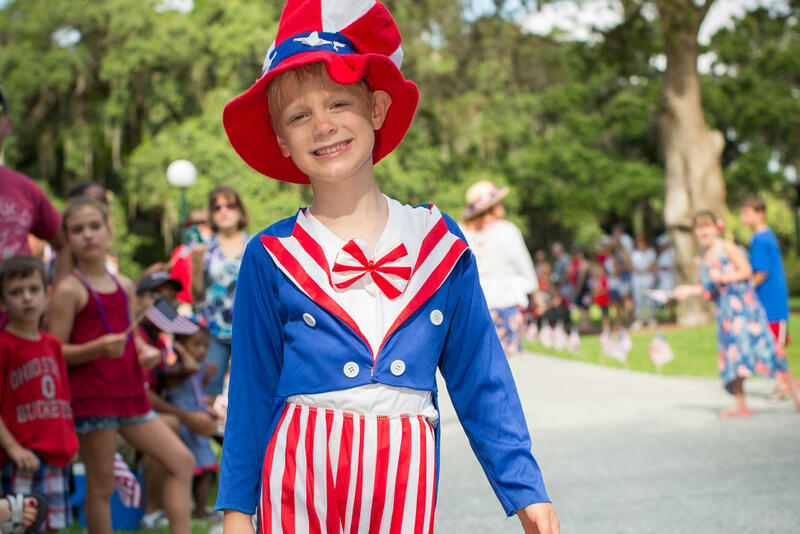 Celebrate the Independence Day holiday on Jekyll Island. 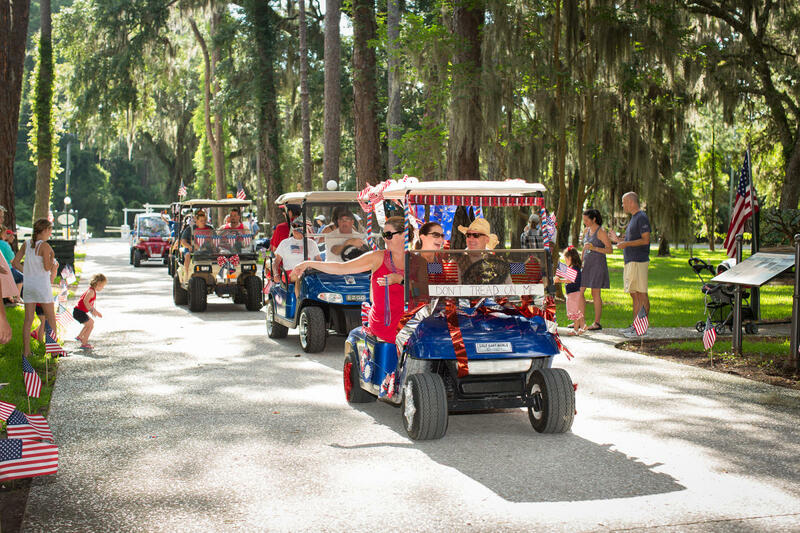 This year, we've expanded the festivities, so bring your friends and family and participate in all of Jekyll Island's patriotic fun. Witness the most spectacular fireworks in the Golden Isles. Arrive early to get your spot in the sand. Fireworks are best viewed from the beach between the Holiday Inn Resort and south to the Days Inn on the island’s oceanfront side. Fireworks will begin around 9 p.m. when the sky offers the best background for this incredible pyrotechnic display. Parking will be available on Great Dunes Golf Course, located just a short walk from the beach where fireworks viewing is best. Fireworks are free; however, the Jekyll Island parking fee will be increased for July 4, 2019. The fee at the parking gate will be an additional $4 per daily/weekly pass; annual passes are not impacted. For additional information, please visit Park Entry & Parking Passes. Celebrate America’s birthday with an old-fashioned patriotic parade through the Historic District. Local residents and island guests are invited to decorate their bikes, golf carts, strollers, pets, and themselves and join in the fun. Prizes will be awarded at the conclusion of the parade. Get more information on the parade. Join us for a fun filled day of water slides, bounce houses, sidewalk sales and live music on the Village Green. Enjoy the sounds of summer during the Beach Village Music Series. Held the first Saturday of the month, June-September, the Village Green will come alive with an eclectic mix of musical acts. Sing along, cut a rug, or simply enjoy these talented artists while you shop or dine in the Beach Village. Bring a beach blanket or chair and you’ll have the best seat in the house.